ISLAMABAD: Despite President Donald Trump’s acknowledgment of Pakistan’s vital role in Afghan peace in a letter to Prime Minister Imran Khan, Washington’s envoy to UN Nikki Haley has repeated allegations against Islamabad. Haley, the first Indian-American ever appointed to a Cabinet position in any US presidential administration, said the US did not need to give money to countries that wish harm to America, go behind its back and try and “stop us from doing things”. “The one example I’ll give you is, look at Pakistan. Giving them over a billion dollars, and they continue to harbour terrorists that turn around and kill our soldiers —that’s never okay. We shouldn’t even give them a dollar until they correct it. Use the billion dollars. That’s not a small amount of change,” she alleged. The 46-year-old former South Carolina governor will step down as the UN envoy after serving nearly two years at the end of this year. Trump has nominated chief State Department spokeswoman and a former Fox News journalist Heather Nauert as Haley’s successor. She said Pakistan should be told “you have to do these things before we will even start to help you with your military or start to help you on counterterrorism”. 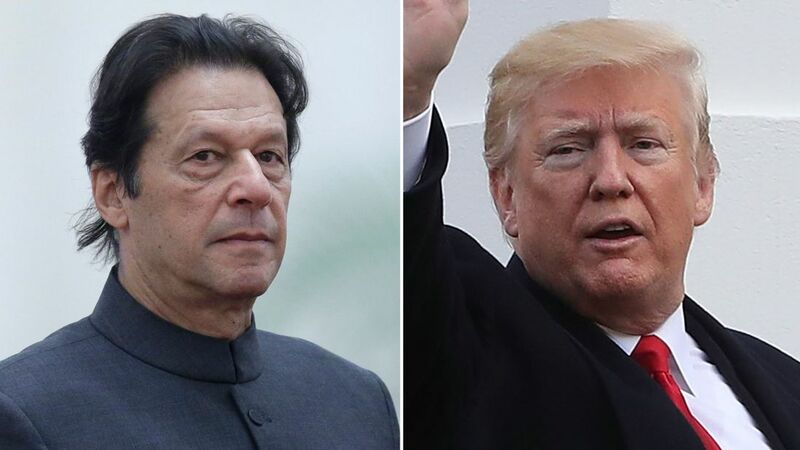 Last week, the US President wrote a letter to the prime minister seeking Islamabad´s support in securing a “negotiated settlement” to the war in Afghanistan. The development comes as Washington steps up efforts to hold peace talks with the resurgent Taliban, more than 17 years after the invasion of Afghanistan. “In this regard, he has sought Pakistan´s support and facilitation”, it continued. In a televised interview to senior journalists, Khan said his government would “try our best to make the Afghan Taliban sit together with the Americans so that negotiations can be carried forward,” without giving further details.